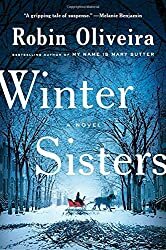 Dr. Mary Sutter, a former Civil War surgeon, begins a search for two little girls, the daughters of close friends killed by the storm who have vanished without a trace. Mary’s mother and niece Elizabeth, who has been studying violin in Paris, return to Albany upon learning of the girls’ disappearance—but Elizabeth has another reason for wanting to come home, one she is not willing to reveal. Despite resistance from the community, who believe the girls to be dead, the family persists in their efforts to find the two sisters. When what happened to them is revealed, the uproar that ensues tears apart families, reputations, and even the social fabric of the city, exposing dark secrets about some of the most powerful of its citizens, and putting fragile loves and lives at great risk.